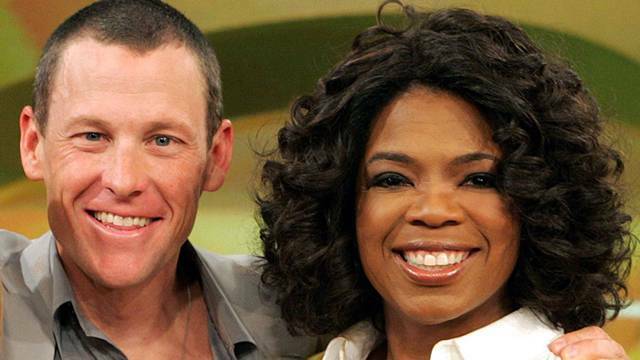 In news just in, Lance Armstrong will be interviewed by Oprah Winfrey in what is probably one of the most sought after interviews in recent times, following Lance being stripped of his Tour de France titles last year. Just yesterday there was news of speculation that Lance may confess in the near future in an attempt to compete again; and now, the US talk show queen has announced a "no holds barred" interview, which will air in the US in a 90 minute episode of 'Oprah's Next Chapter' on Thursday January 17. It will also be streamed live worldwide on Oprah.com. Oprah posted on her Twitter page: "Looking forward to this conversation with lancearmstrong,'' with Lance re-tweeting the comment 15 minutes later. Oprah will speak with Lance at his home in Austin, Texas. In a press release from Winfrey's network OWN, the interview would "address the alleged doping scandal, years of accusations of cheating, and charges of lying about the use of performance-enhancing drugs throughout his storied cycling career". So far, Lance has strenuously denied doping, and it is not known if he will admit to the practice during his interview with Oprah. This photo below is from Oprah previous interview with Lance, several years ago.